Chances are for those who have a bankruptcy on their credit history it is not a decision which was taken lightly. Circumstances happen to people and they exercise the option to use the to clean the slate and start over again. However they may never have dreamed it would be so difficult to start over again. If a home loss occurred due to foreclosure in the bankruptcy the first reality check as to how this ordeal impacts someone may hit when they set out to rent for the first time in many years. It can be challenging to rent, turn on utilities, purchase a car or proceed in life with regards to any financial endeavor. Suddenly a person may feel at a great disadvantage and wonder if life will ever be the same again. 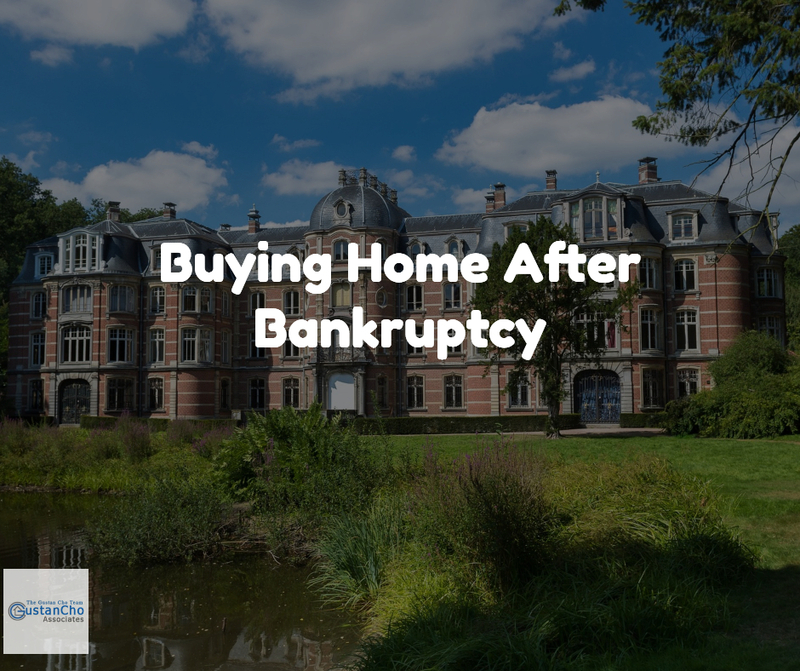 Buying Home Again After Bankruptcy and/or after housing event is possible for those who have re-established themselves. Good news! There is life after bankruptcy! Although some lenders require a time of seasoning for the bankruptcy to have been discharged for a period of time there are loan options available immediately after discharge and as well as lending options during an open bankruptcy. In certain cases the home buyer will have to submit the mortgage payment to their trustee during an open bankruptcy for an approval to add the debt payment to there bankruptcy plan. The rules and guidelines will vary from lender to lender. The best possible chance of purchasing a home during or after Chapter 13 Bankruptcy is to find a lender with no overlays. Lenders overlays are the rules of individual mortgage companies and banks that are stricter than the rules that government entities establish for various mortgage products. Most Lenders do not accept any home buyers while they are in a Chapter 13 Bankruptcy due to their lender overlays. Most lenders require two year waiting period after Chapter 13 Bankruptcy discharged date to qualify for VA and FHA Home Loans. Under both VA Guidelines and HUD Guidelines, borrowers can qualify for VA and FHA Loans during Chapter 13 Bankruptcy one year into their repayment plan. The Gustan Cho Team at Loan Cabin Inc. has no overlays for borrowers in a current Chapter 13 Bankruptcy Repayment Plan nor anyone with a recent Chapter 13 Bankruptcy discharge. It does need to be manual underwriting. In addition to seeking a lender with no overlays, a borrower needs to strive to improve the overall credit score after having a bankruptcy on record. The light at the end of the tunnel, it is good to know after working hard to make payments to a trustee for 5 years or after doing all the necessary steps to get a bankruptcy discharged a person can qualify for a home loan without a 5 year waiting period or any seasoning of the discharge. Apryl Boyce is a writer for Gustan Cho Associates Mortgage & Real Estate Information Resource Center. Apryl has extensive knowledge in real estate and lending and has been in the mortgage industry for over 10 years. She has experience in both commercial and residential lending and has been in the mortgage business during and after the 2008 Sub Prime Mortgage & Real Estate Meltdown. Looking forward to more interesting informative blogs by Apryl Boyce in the coming weeks. Resides on the east coast after 26 years of the Wild West in Colorado and Wyoming. An entrepreneur and former business owner in Colorado of a spa business and a wine & spirits distribution company. An experienced loan officer with nearly a decade of experience in residential, commercial & construction loans.